Vaporum (Merge Games, €19.99 / £15.99) - Vaporum is a grid-based dungeon crawler RPG in an original steampunk setting, inspired by old-school classics of the genre. Stranded in the middle of an ocean, in front of a gigantic tower, the hero has to find out what the place is, what happened there, and most importantly, who he is. Windstorm - Ari's Arrival (EuroVideo Medien, €39.99 / £35.99) - The steed Windstorm is suffering from anxiety after surviving a fire, and not even Mika is able to help him. Until the feisty Ari arrives on the ranch. Even though she has no experience in riding horses, she quickly befriends Windstorm. Mr. Kaan teaches the girl how to take care of the horse and how to maintain the right posture in the saddle. Will Ari learn to ride as fast as her predecessor Mika? Will she be able to help Windstorm become his old self? What is behind the legend of the horse warrior that Mr. Kaan is talking about? 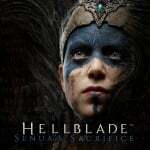 Hellblade: Senua's Sacrifice (Ninja Theory, €29.99 / £24.99) - From the makers of Heavenly Sword, Enslaved: Odyssey to the West, and DmC: Devil May Cry, comes a warrior’s brutal journey into myth and madness. Set in the Viking age, a broken Celtic warrior embarks on a haunting vision quest into Viking Hell to fight for the soul of her dead lover. Created in collaboration with neuroscientists and people who experience psychosis, Hellblade: Senua’s Sacrifice will pull you deep into Senua’s mind. Jungle Z (Rising Win Tech., €11.49 / £10.39) - You need to survive on the last day of Earth with limited backpack space. Supplies are hidden somewhere around you, look for them. Be careful! Every decision you make could mean life or death. Cook, Serve, Delicious! 2!! (Vertigo Gaming, €14.39 / £12.99) - Cook, Serve, Delicious! 2!! is the massive sequel to the surprise best-selling original, one of the few games that gives players complete control on how they want to build their restaurant. Greco’s Hall of Kanji Learn Japanese< Beginner > (media5, €14.99 / £13.49) - Break up the monotony of traditional language learning and bring some entertainment value to your Japanese kanji studies on the Nintendo Switch with media5’s latest release in “edu-tainment”: Greco’s Hall of Kanji. 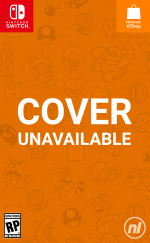 Switch 'N' Shoot (Matthew Glanville, €3.89 / £3.49) - Calling all pilots: Earth is under alien attack! Your assistance is required! Arcade Archives TIME PILOT (HAMSTER, €6.99 / £6.29) - TIME PILOT is a shooting game released by KONAMI in 1982. Transport five generations into the future and shoot down enemy ships with a full 360º of motion. Rescue parachuters and take out entire enemy formations to earn a high score! Fly into a battle beyond time and space! Back to Bed (2Awesome Studio, €4.99 / £4.99) - Back to Bed is an artistic 3D puzzle game with a surreal twist. Bob is an unlucky narcoleptic who has a tendency of falling asleep in his boring office and then proceeding to sleepwalk into the dangers of the big city. Luckily, Bob has a subconscious guardian named Subob, who protects the sleepwalker and guides him back to the safety of his bed. Bot Vice (DYA GAMES, €8.99 / £8.99) - Show off your skills and reflexes in this frantic gallery shooter arcade action title - Filled with bullets, bots, and explosions! You play as Erin Saver, who carries out a personal vendetta against the criminal gang the Wildbots while bringing them to justice. Box Align (QUByte Interactive, €1.99 / £1.79) - Discover the power of the Box Align puzzles! A simple yet challenging Puzzle Game where you put your brain to work while trying to eliminate all the boxes with as few moves as possible. Doggie Ninja The Golden Mission (toydea, €4.06 / £3.68) - "Doggie Ninja The Golden Mission" is a PvP action game up to 4 players can play. Let's enjoy this game with anyone, anytime, and anywhere! 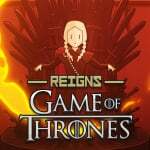 Reigns: Game of Thrones (Devolver Digital, €3.39 / £3.05) - Reigns: Game of Thrones is the heir to the award-winning HBO TV series Game of Thrones and the smash-hit swipe ‘em up series Reigns from Nerial and Devolver Digital. Through the fiery visions of Melisandre, claim the Iron Throne as Cersei Lannister, Jon Snow, Daenerys Targaryen, and more to carefully navigate the complex relationships and hostile factions of the Seven Kingdoms. Employ ruthless tactics to outwit political rivals and wield impervious charm on your fickle bannerman. Maintain the balance and favour of the people to extend your reign and maybe, one day, survive the horrors of the coming winter. 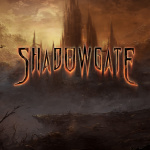 Shadowgate (Abstraction Games, €19.99 / £15.99) - Shadowgate is one of the most well-known and beloved adventure titles in gaming history. It quickly endeared players with its fantastic atmospheric soundtrack, perilous locations to progress through, countless puzzles to solve, and more ways to gruesomely die than gamers previously thought possible. Thrust into the role of “The Seed of Prophecy”, players travel deep into the castle, in hopes of defeating the evil that dwells within – the dreaded Warlock Lord. Slime Tactics (Flyhigh Works, €9.99 / £8.99) - Slimes are often the weakest monsters, but now it is time to make them the strongest army! Slime Tactics is a game of real-time strategy battles with a difference, as you lead these weakest of units to glory! There are various types to master, all with their own unique skills and characteristics. With smart strategy you can conquer the most deadly of enemies! Super Star Path (DYA GAMES, €3.99 / £3.99) - Hop into your spaceship, open a path through huge waves of aliens and other hazards, and face intense boss battles! The Demon Crystal (Regista, €9.99 / £8.99) - Once upon a time, there was a rich country "Fareis country" in a certain place. However, as the peace and prosperity continued, the people of the kingdom were corrupted and the power of the nation declined. Princess Chris chooses outstanding people from the citizens to make the country a lively thing like the old days, and appointed the Royal Guards' Director Ares Niser as the Governor. But the time of trial has come to this peaceful and happy country. But the time of trial has come to this peaceful and happy country. 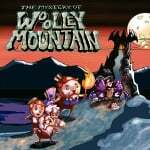 Way of the Passive Fist (Household Games, €10.39 / £9.59) - A mysterious figure known only as the Wanderer travels across the distant planet of Zircon V, a once prosperous mining colony that is now on the brink of destruction in the face of its dying star. By using the Passive Fist technique, the Wanderer can outlast any foe by deflecting their attacks and draining their stamina. With colonists disappearing and maniacs running wild, the Wanderer must stand firm, stay calm and fight for answers in this unique modern brawler! War Theatre (Arcade Distillery, €5.39 / £4.85) - War has come to Kasalli. As endless conflict rages, seven warriors discover an ancient power that promises mastery over any battlefield. War Theatre expands classic turn-based strategy gameplay with RPG elements. Choose your hero and take to battle in single-player campaigns set in a continent ravaged by ceaseless war. A Dark Room (CIRCLE Ent., €6.99 / £6.29) - A Dark Room is an innovative text-based adventure that harkens back to the magic of Zork, adding a modern spin on a classic genre and time in gaming. Rolling Sky (Rising Win Tech., €9.99 / £8.99) - Challenge your speed and showcase your reaction time! Stunning 3D effects, easy to operate, simply steer the ball to dodge the obstacles and conquer the world! Street Basketball (Baltoro Games, €5.99 / £5.49) - Put your duelling instincts to the test in one-on-one matches! Choose from multiple characters with their signature ability shots. Pick their looks from the list of available outfits. Make them better players by improving their stats! Super Weekend Mode (Ratalaika Games, €3.99 / £3.99) - No matter how you look at it, there is nothing nice about stealing and unfortunately for a princess, she’s going to have to learn this the hard way, when “that guy” claims her possessions for himself and sets off with them. 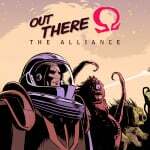 Out There: Ω The Alliance - Demo (Raw Fury, Free) - Out There is an award-winning space exploration game where you try to survive alone in a distant and unknown part of the galaxy by upgrading your spaceship and managing your resources. Space is a hostile place; dangerous and mysterious adventures will mark each step of your travel. You will not only meet insidious intelligent species, but also deal with ancient powers linked to your destiny and the fate of mankind itself. Table Top Racing: World Tour - Nitro Edition (Greenlight Games, €22.23 / £19.99, pre-order from 10/04/2019) - Get behind the wheel of 16 ultra-cool, miniaturized racing cars and engage in combat-racing like no other. Master over 30 table-top race tracks and over 180 events in a bid for glory, then take the battle Online and compete with the best in the world. Aggelos (Pqube, €13.99 / £11.99, pre-order from 11/04/2019) - Step through time and discover a mesmerizing new action-RPG that looks like it was plucked straight out of the 16-bit era, but plays like a modern-day marvel! Inspired by non-linear Japanese retro adventures, Aggelos hurls players into the middle of a colossal struggle for survival as beings from another dimension threaten to invade the peaceful Kingdom of Lumen. Cafeteria Nipponica (Kairosoft, €10.00 / £8.99, pre-order from 11/04/2019) - Don your chef's hat and hit the kitchen! You're the chef de cuisine in this scrumptious simulation that'll have you coming back for seconds... and more! Run your own restaurant, find ingredients, research recipes and spice up your culinary repertoire! Only you can bring your establishment sweet success! DayD: Through Time (8Floor Games, €8.79 / £7.89, pre-order from 11/04/2019) - Brian is a gifted and eccentric scientist who has created a time machine and travelled into the past! But it turns out you can’t expect a careless stroll through the lands of the dinosaurs. His former friend, Doctor Terrible, is already here! He created a time machine before Brian and has already managed to install game machines in the dinosaur era! Can you stop Doctor Terrible? This adventure is full of mysteries, adventure, and of course, journeys through time! Hell is Other Demons (Kongregate, €9.99 / £8.99, pre-order from 11/04/2019) - A Fast-Paced Bullet Hell Platformer with Big Pixels. This arcade shooter is driven by quick, creative gameplay that rewards fast decision making and faster reflexes. Xtreme Club Racing (EnjoyUp Games, €6.92 / £6.22, pre-order from 12/04/2019) - Get behind the wheel in one of eShop's most frantic extreme driving games. Travel back in time with a flashback to the ARCADES with pure ARCADE style retro-playability. Nintendo is hosting a 'Blockbuster Sale' for both Switch and 3DS, discounting top games by up to 60%. You can see all games included and their pricing right here. So many good eShop games in the coming weeks that I feel like I need to pick and choose carefully. Really interested in playing Hellblade but the high price (it's probably worth it but doesn't make it any easier on my bank account) and file size has me a little hesitant to grab it straight away. 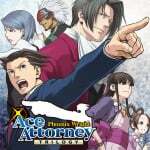 A few others going on the watch list and already have Ace Attorney physically. Nothing for me this week because Ruby Weapon is still alive! Goody gumpdrops! I've been wanting to get my hands on Hellblade for ages now, must have. Nothing for me this week, may stay that way until Mario Maker 2. A demo for Box Boy would be nice though. @Kiz3000 That is just NL getting the prices wrong. They do that quite a bit, from what I have seen. Nintendo UK site has it down as £21.69, which makes more sense. @WarpSpawn I just noticed the €24 price which is a give away that the £37 price is wrong. Thanks for letting us know it is actually down to £21. That makes much more sense. Time Pilot, the first Arcade Archives release of a Konami game on Switch. It was unannounced too, like Donkey Kong 3 last week. I've been complaining a lot about the lack of Konami releases under this seal, especially because they're on PS4, and I blamed it to the undeniably good relationship between Konami and Sony. At last Konami games begin to land on Switch too! By the way, now Neo Geo releases do seem to have stopped for good. No review of Hellblade as yet. Seems like the sort of thing that could have frame rate problems on Switch, so it'd be nice to see a verdict. I recall beating Ruby all those years ago only for Emerald Weapon to wipe me out in mere seconds. I wish you good luck. Holding out for Cuphead. Only one more week! I’ve been hoping Wolfenstein will go on offer for ages now, so I’ve no excuse! @Bunkerneath I appreciate your Fe only, thanks. That's the game from this week's sale to catch my eye so I'll give it some consideration. 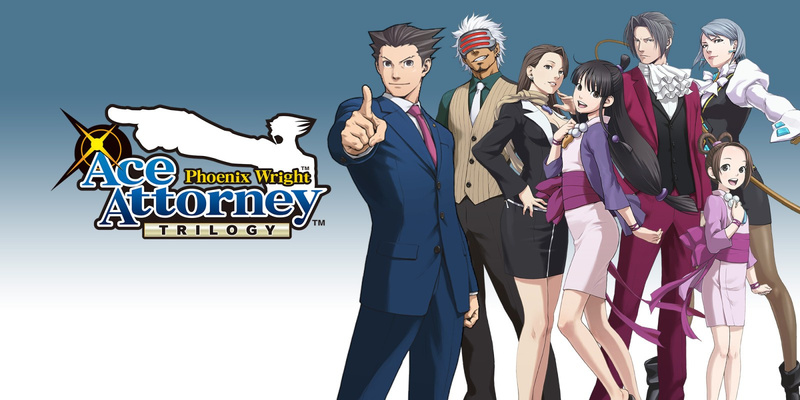 Hang on, how much is Phoenix Wright in €? As if those prices above are right, then it’s overpriced in the UK. I just checked the UK price and it is £29.99, so unless that euro price is wrong, the UK is getting ripped off. Syberia 1+2 for 11.99 is not bad either.